There’s nothing that tugs at the heartstrings quite like a good wedding. And there’s nothing that touches the imagination of an entire nation quite like a royal one. So when it comes to China’s Qing emperors and their grand weddings, these are huge historical moments in time. And you can relive those emotions if you head to the Hong Kong Heritage Museum between now and February 27 for the regal Ceremony and Celebration: The Grand Weddings of the Qing Emperors exhibition. 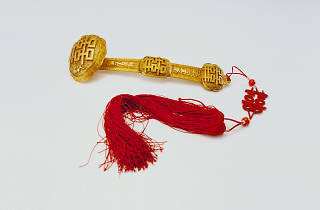 The grand weddings of the Qing emperors were majestic state ceremonies, however they were also some of the most solemn occasions within the Forbidden City. 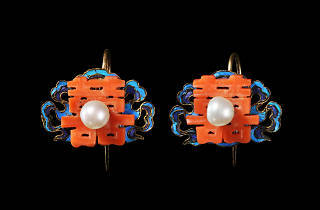 This new exhibition, which displays an array of regal memorabilia, has been curated to allow members of the public to appreciate stunning exhibits from the imperial weddings, as well as learn more about the extremely elaborate rituals and procedures at the emperors’ weddings. 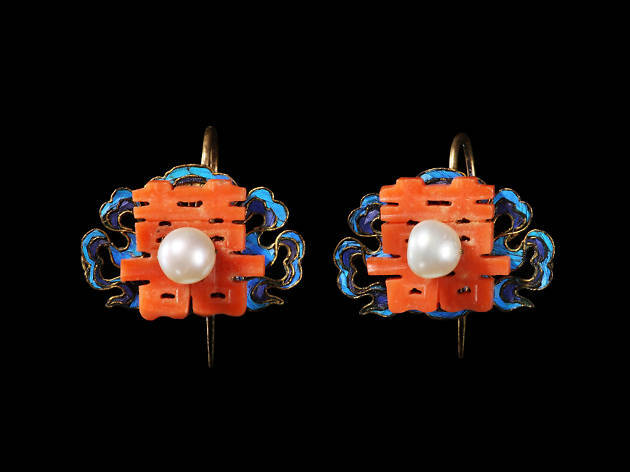 The exhibition showcases the grand weddings of the Qing emperors by displaying 153 sets of valuable exhibits that have been meticulously selected from the collections of rarities at Beijing’s Palace Museum in the Forbidden City. 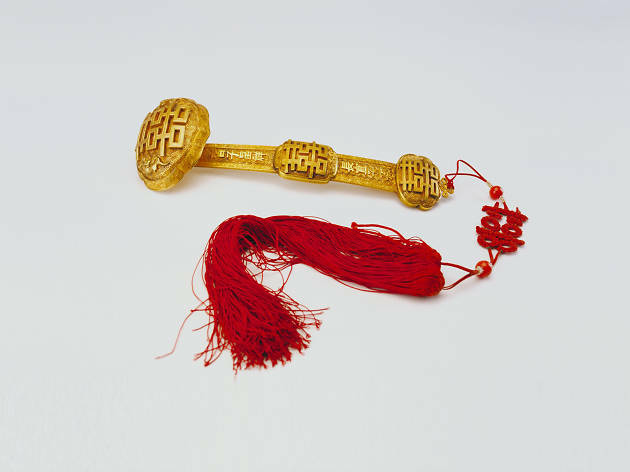 These documents, portraits, costumes, personal ornaments, dowry objects, wedding ritual objects and court musical instruments, among others, serve to showcase the grand weddings of the emperors. 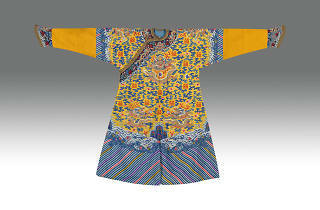 Highlights of the exhibition include 10 meticulously executed pictures selected from the Comprehensive Illustrated Record of the Grand Wedding of Zaitian, the Guangxu Emperor, with a total length of 12m. 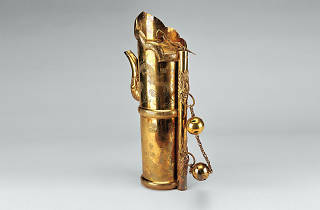 There’s also a gold seal engraved with the ‘Huanghou zhibao’ the Empress’ seal, and surmounted by a dragon knob. 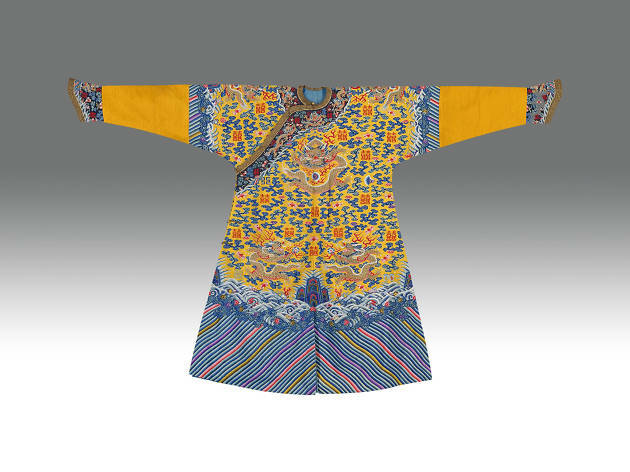 Then there’s a bright yellow lined male dragon robe with kesi-tapestry gold dragon, bat, cloud and double happiness motifs, as well as a bright red quilted female kesi-tapestry dragon robe with eight dragon roundels containing double happiness symbols and eight Daoist emblems. 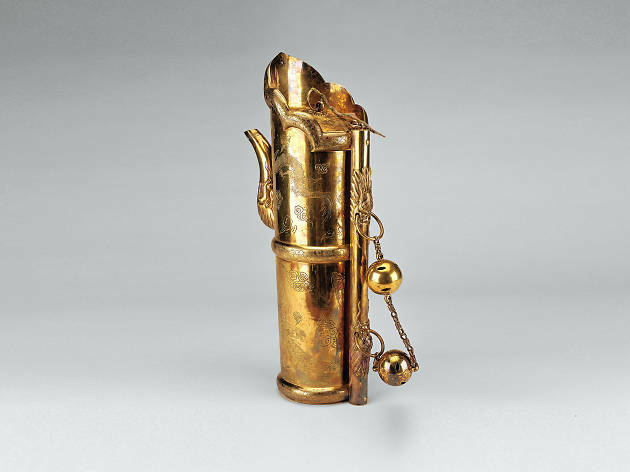 Also marvel at a wooden saddle with gemstone inlays and ‘golden walnut wood’ veneer, as well as an iron helmet with gold filigree and a duomu flask that was used in traditional Manchu weddings. The thematic galleries also display replicas of the Chinese emperor wedding room and the Empress’ Phoenix Chair, enabling visitors to explore the splendour of the Qing royal weddings. Artefacts highlighting regional marriage practices are also displayed, allowing member of the public to get a glimpse of the commoners’ wedding practices. 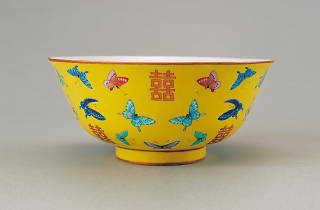 The exhibition is jointly presented by the Leisure and Cultural Services Department and The Palace Museum, and jointly organised by the Hong Kong Heritage Museum and The Palace Museum, with sole sponsorship from The Hong Kong Jockey Club Charities Trust. The Hong Kong Design Institute is the supporting organisation regarding production of interactive programmes. So, head to the Heritage Museum in Sha Tin over the festive period to find out more about some of the most regal weddings in China’s history. It’s a time to celebrate love as you celebrate the past. 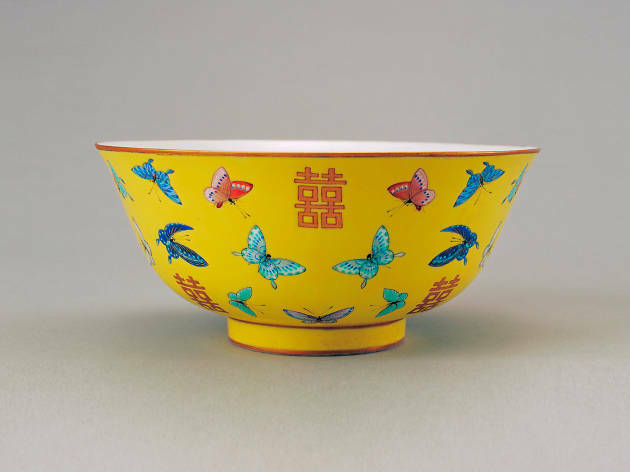 For details on the Ceremony and Celebration: The Grand Weddings of the Qing Emperors exhibition, visit the Hong Kong Heritage Museum’s website at hk.heritage.museum or call 2180 8188.